Wearable devices precisely show how much technological developments influence our lives. According to statistics, the wearables market is esteemed to grow over $830 million by 2020. And such huge global success would not be possible if these gadgets weren’t so smart. So, it’s not so strange that these devices found their way into the healthcare and life science industry. Actually, they just might be a game changer, as they are a revolution in patient care. With improved diagnosis, real monitoring, and preventive as well as the regular treatments, more and more institutions, along with their patients, embrace this miracle of digital technology. What is IoT in Healthcare? The Internet of Things are smart devices which enable machine-machine and machine-human interaction. The main reason they are called smart is due to their built-in sensors that accurately collect data for further analysis and action. Just like home monitoring tools, wearables, and mobile healthcare apps, by using real-time data, the devices allow tracking, monitoring, and management in order to improve the precision, speed, and planning. Due to such efficiency, the information collected provides better judgment and reduces the risks of making a mistake. One thing is certain; IoT increases productivity. 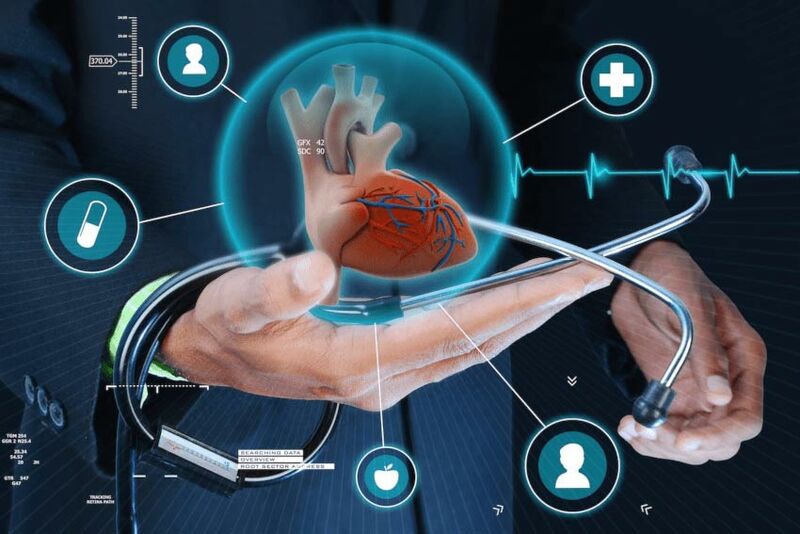 Apart from lowering the risks, the device data can also be used for preventing machine failure, which is quite an advantage for life sciences, as this can help to improve reliability and quality when it comes to the patient’s supply chain responsiveness. Meaning, lower expenses in terms of production. Staying on that note, the beauty of IoT in life science is personalized medicine. The IoT enables an integrated production process from sales order to workstation. Putting it simply, the industry can make a bunch of products suitable for personal therapeutic use because, during the product assembling stage, individual directions are passed onto a special smart software. From there on, the software makes adjustments for any single product unit. Hence, let’s take a closer look at the range of uses and areas covered by these IoT systems. Yes, you have read this correctly and it’s exactly what your first thought implied. Organs-on-Chips is truly a ground-breaking invention of creating human organ system on miniature micro-engendered chips. These chips help to better understand the functions of our organs, in addition to supporting research and development by reducing costs, data reporting, and increasing medicine efficiency. It is an advanced personalized treatment with the main role of accelerating new drug developments. Did you know that a digital pill was first created in 2012? During that time, the FDA approved the first digital pill called Proteus. Nowadays, life science, as well as healthcare in general, can get an improved picture of what is going on in the human body. The way it works is, when a person consumes a chip in a pill, he or she also intakes a photo-shooting asset by which specialists get an insight into the organs inner functions and how the drug affects them. These pills also transmit data to wearable devices which are yet again passed on to professionals for Cloud diagnosis. Another digital wonder is 3D prescription printed pills. Basically, by using wearable gadgets and other forms of sensors such as those mentioned above, healthcare authorities can send instructions to a 3D printer for printing the medicine from the comfort of their home. Of course, these commands are specially designed according to the patient’s analysis and vital signs for finding the proper medication dosage. Another piece of IoT technology is automatic wheelchairs designed to embody wireless networks with several sensors. Managed via IoT, the smart chair measures and monitors vital signs of patients while keeping track of their location at all times. This helpful tool provides a safety measure to disabled individuals and gives them better assistance and greater independence. What is the deal with wearables one might ask? Well, these devices in their current form are only the beginning of something spectacular. So far, we have had wristbands that measure a user’s pulse, daily routine, blood pressure, temperature, and oxygen levels. All these pieces of data are sent to the user’s smartphone. We can only imagine what comes next because this type of health support can eliminate human error in versatile healthcare regions. Imagine a doctor who, while speaking with the patient, exactly knows their medical history. This is one of the smart things that Google Glasses provide. Since the patient’s records play an important role in correct diagnosis and treatment, doctors can read essential information during consultations. Nonetheless, the best part is that they can communicate with other specialists all around the world and share valuable perspectives, which all leads to improved patient care. The Internet of Things is definitely the future of healthcare and life sciences. With enhanced data regarding patients and real-time tracking, the hopes of preventing and curing diseases are higher than ever. Such a small, but an extremely smart piece of digital technology, is rapidly changing the traditional approach to drug use in treatments, healthcare product production, and easing the patient’s troubles along the way.